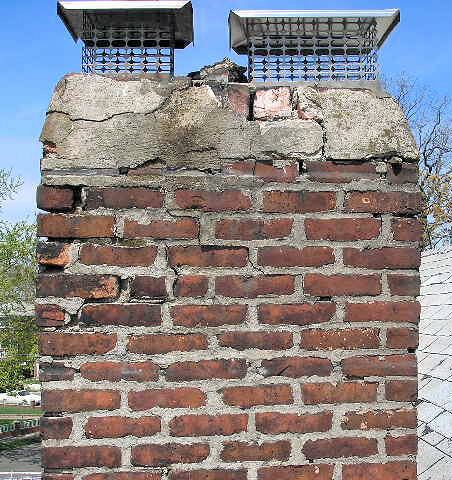 A broken chimney can be a variety of possibilities that include a cracked chimney, loose or broken bricks, damaged masonry, damaged chimney flue, damaged lining, or damaged flashing. Chimney Repair NY’s experienced masonry experts and chimney technicians can evaluate your chimney to give you the most accurate and cost effective way to fix it. Request a Free Chimney Repair Estimate today to fix your broken chimney and prevent serious problems from developing. Carbon monoxide poisoning and fire hazards are common consequences of a broken chimney and should be taken seriously by contacting a certified chimney expert immediately for assistance. A broken chimney could also lead to loose bricks falling or chimney collapsing causing additional property damage and endangering people. Chimney Repair NY is committed to customer safety and satisfaction by providing first class service for all chimney projects. Call 1-877-952-7425 today to schedule chimney service for your home in New York.